It was one hearing with just two witnesses but, in an era of deep political polarization and yawning cultural divisions, Americans came away Thursday having heard very different things. Millions of men and women listened to nervous-but-composed college professor Christine Blasey Ford tell the Senate Judiciary Committee she was “100 percent” certain that Supreme Court nominee Brett Kavanaugh sexually abused her as a teenager, and they lauded her courage in speaking out. Millions of others saw a woman with a spotty memory who failed to prove Kavanaugh was her abuser, and believed the judge as he repeatedly choked up and vigorously defended himself. “The allegation of misconduct is completely inconsistent with the rest of my life,” he said. Americans followed the hours of testimony and subsequent questions from their homes, in their cars, in offices and in classrooms. Wherever they were, though, it seemed most responded through the prism of their political bents and personal experiences. Few Americans interviewed by The Associated Press seemed to have had their minds changed by anything they heard. 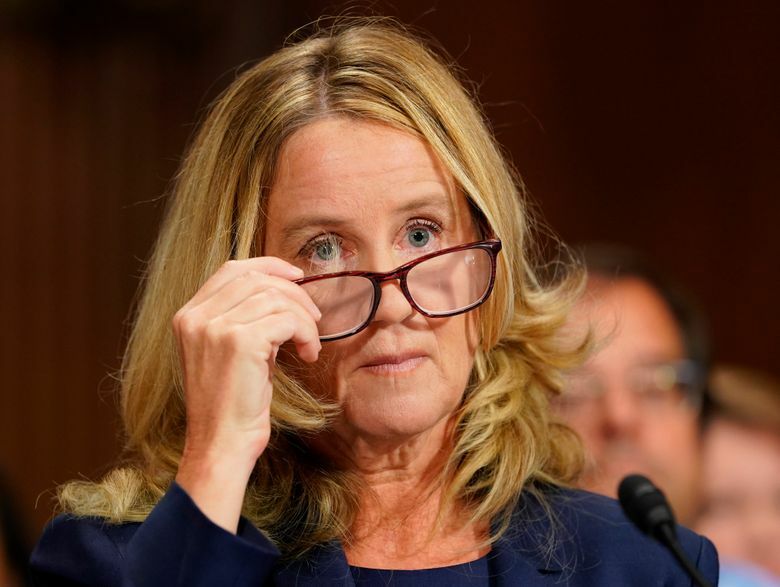 Heather Lake of Omaha, a stay-at-home mother of four and registered Democrat, said she went into the hearings believing Ford and that the professor’s testimony only solidified her belief. But Connie Cook Saunders, a 52-year-old fitness director for a San Diego athletic club who considers herself a moderate Republican, wasn’t convinced by Ford’s appearance. 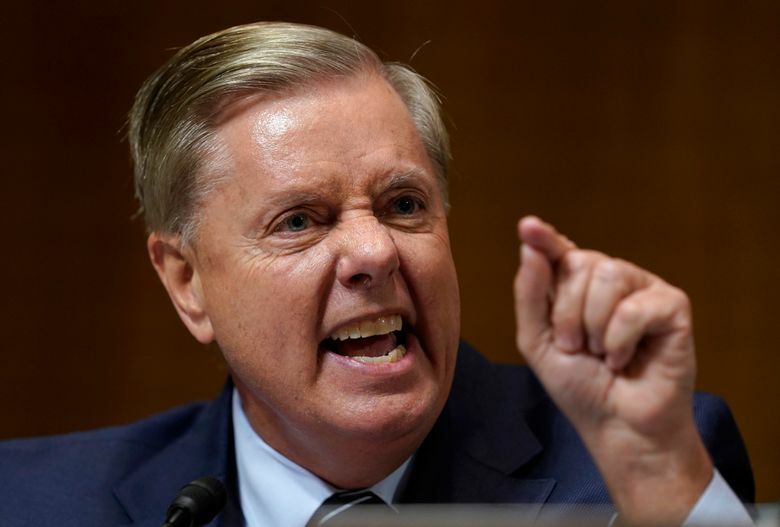 The hearing was to be the culmination of a Supreme Court nomination process that will determine the political bent of the court for decades, and quite likely decide issues such as the legality of abortion and gay marriage in the United States. It took place in a week when “America’s Dad,” Bill Cosby, was declared a sexual predator and sentenced to jail, and at a time when the U.S. president himself has battled multiple accusations of sexual misconduct. The major backdrop was #MeToo, in which women across the country have brought down powerful men they accused of sexually assaulting or harassing them. Ford’s detailed testimony brought many to tears in the wood-paneled hearing room and beyond as she described being locked in a bedroom as a 15-year-old by two drunk boys whom she identified as Kavanaugh and his friend Mark Judge. She said Kavanaugh groped her, tried to take off her clothes and covered her mouth to keep her from screaming. “Both Brett and Mark were drunkenly laughing during the attack,” she said, adding that she eventually escaped to a bathroom. 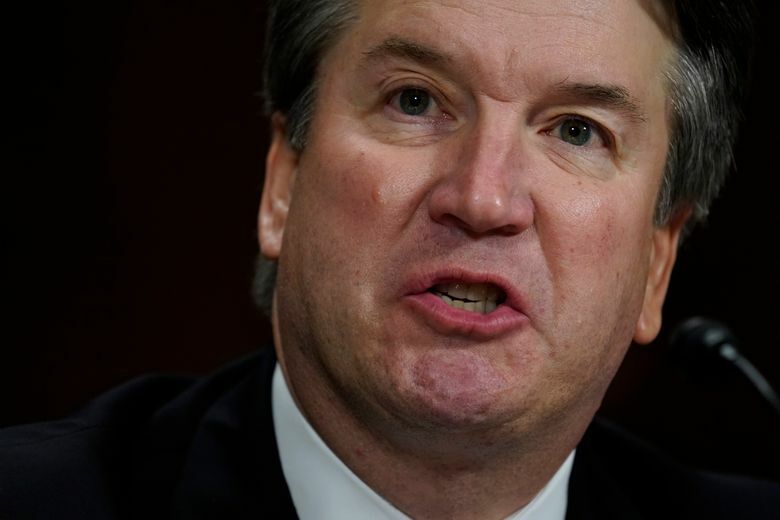 Beginning on a note of barely contained fury, Kavanaugh labeled Ford’s accusation and two other allegations that have followed as “smears,” ”character assassination” and part of a “calculated and orchestrated political hit” fueled by a hatred of Trump and funded by left-wing opposition groups. He repeatedly fought to control his tears as he talked about how the allegation has destroyed his family. “The truth is that I have never sexually assaulted anyone — not in high school, not in college, not ever,” he said. His supporters focused on what Ford could not remember. How is it possible, they wondered, that she didn’t recall the exact address where the assault took place or how she got to and from the house? Mary Ann Almeida, who said she was raped as a 14-year-old, thought Ford came across as untruthful. But it was Kavanaugh who Jalon Alexander, a 25-year-old Democrat and law student at the University of Pittsburgh, did not find credible. One viewer saw the hearing as an attack on a successful white man. “He’s on trial for being basically a white conservative who went to an elite school,” said Mike Glasoe of West Fargo, North Dakota, who considers himself independent politically and said he has voted for both Democrats and Republicans. But in Raleigh, North Carolina, artist and retired state employee Penney De Pas called it part of a movement of Americans fed up with men in positions of power abusing their status to get away with sexual assault. “You have a group of baby boomers and Gen Xers and millennials … who are like ‘We’re not going to put up with this anymore,'” De Pas said. Many of the Americans who remembered the Clarence Thomas hearings in 1991 found themselves comparing the treatment of accuser Anita Hill and Ford. Thomas was confirmed in 1991 despite Hill’s allegations of sexual harassment, which he strenuously denied. At least one thing seemed clear Thursday: The country’s awareness and understanding of sexual assault has evolved markedly in the years since. “Culturally, there’s been movement toward needing to believe women and feeling that these women are being brave, that it takes some courage to go through that and that is kind of a new thing for our culture as a whole,” said John Cowles, a former federal prosecutor and practicing attorney in Kansas City, Kansas. RAINN, the anti-sexual violence organization, estimated that its National Sexual Assault Hotline saw a 147 percent increase over normal volume Thursday. Margery Beck in Omaha, Neb. ; Bill Cormier in Atlanta; Maryclaire Dale, Matt Sedensky and Errin Haines Whack in Philadelphia; Alex Derosier in Raleigh, N.C.; Amy Forliti in Minneapolis; Adam Geller in New York; Jocelyn Gecker in San Francisco; Blake Nicholson in Bismarck; Stacey Plaisance in New Orleans; Jamie Stengle in Dallas; and Annika Wolters in Phoenix contributed to this story.